From the very beginning, The Walking Dead has made the point that an awful lot of what mattered before doesn’t matter in the least in the world of the zombie apocalypse. 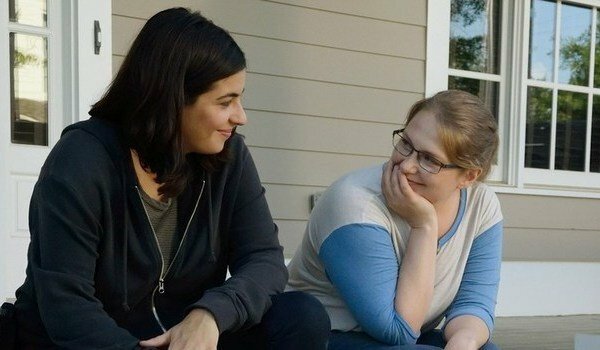 While earlier seasons dealt more with race and gender, Season 4 brought sexuality into the fold with the openly gay character of Tara Chambler. Tara was introduced back when the Governor was rallying forces to strike back at Rick and Co., so her sexuality was never exactly at the forefront of the plot. According to actress Alanna Masterson, it never needed to be. I don’t think being gay is a big deal in general. But it’s not some spectacle that needs to be shown. At the end of the world, no one’s going to care about sexual orientation, money, status – none of that stuff is going to matter. They don’t have to punch you in the face with it, it just is what it is. Alanna Masterson’s comments about zombie apocalypse sexuality in her chat with The Wrap make a lot of sense for The Walking Dead. Even though prejudices may not have died entirely when civilization fell – see: the racist Dixon brothers in earlier seasons – the world overrun by zombies is about what skills each survivor can bring to any given situation. Tara being gay is not the most important aspect of her character and has never been her character’s defining trait. In fact, The Walking Dead has been so matter-of-fact about both of Tara’s relationships since Season 4 that her romances have been refreshing breaks from the melodramas of the Glenn/Maggie saga and the Rick/Jessie flirtation. Tara and Denise have a pretty good set-up right now. Between Tara with her survival skills accumulated after joining Rick and Co. and Denise as a rare post-apocalyptic doctor, they’re definitely what equates to a power couple at the end of the world. They just happen to both be women. Interestingly, Rick and Co.'s arrival at Alexandria brought another gay couple into the fold with Aaron and Eric. However, the character from the Georgia crew to work most closely with them has actually been Daryl. His non-reactions to their relationship as well as Tara and Denise’s in the most recent episode are perhaps the biggest proofs that sexuality in the zombie apocalypse just doesn’t matter. Season 1 Daryl almost certainly would have had comments about their sexualities; pragmatic Season 6 Daryl knows what does and does not matter in their circumstances. Sexuality is not always handled so deftly on television, and Alanna Masterson is fortunate that she’s given the respectable material on The Walking Dead to bring to life in Tara. Hopefully, being gay in the zombie apocalypse will continue to be treated well on the show. To see Alanna Masterson in action as Tara, be sure to tune in to The Walking Dead on Sundays at 9 p.m. ET on AMC.